First test match between Sri Lanka and Pakistan was drawn due to some really Impressive Batting performances from both sides. Centuries of Misbah, Younus and Angelo Mathews taken the match towards draw. Angelo Mathews was able to score 157 runs in 2nd Inning due to which Pakistan lost its grip on the match after getting lead in first inning. Second Test match of this three match test series will start from Wednesday 8th January 2014 in Dubai. 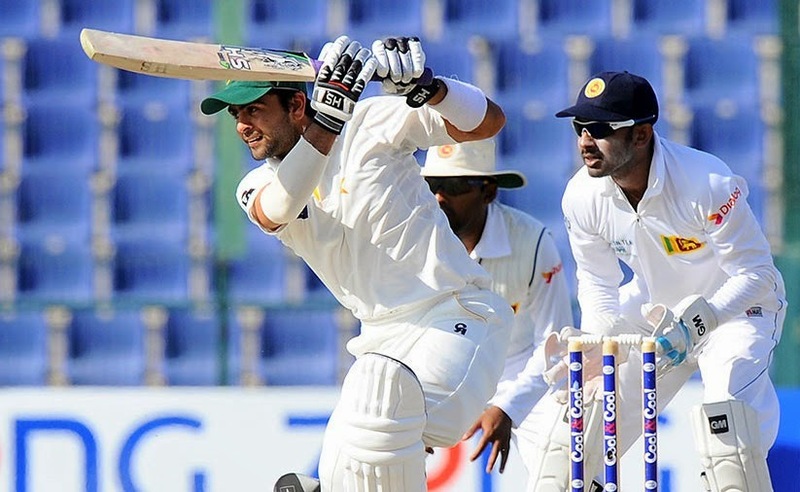 Pakistani Skipper Misbah Ul haq is hopeful to win the remaining two test matches against Sri Lanka. According to Misbah the pitch in 1st test was not helpful for bowlers due to which it resulted in a draw. Pakistan needs a wicket which can help it bowlers specially spinners in 2nd test match. It is also expected that Pakistan will give chance to spinner Abdur Rehman instead of Rahat Ali in second test. another change which Pakistan can make is replacing Khurram Manzoor with opener Shan Masood. For Sri Lanka the matter of concern is that their Senior Batsmen like Mahela Jayawardene are not able to play big Innings. Sri Lankan bowlers are also failing to stop Pakistani batsmen. So It will also depend on the Pitch in 2nd test. If the pitch sported spinners then Pakistan may have edge over Sri Lanka.